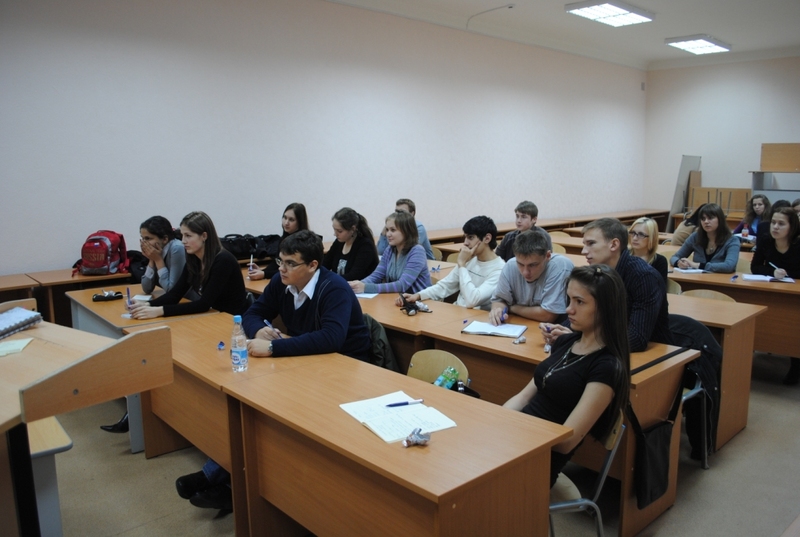 The Historical Session of Khabarovsk MUNRFE Club was successfully conducted! Another significant for MUNRFE event has been recently held on the basis of the Far Eastern Federal University. XXII Presidents Council (PC) was conducted on 31 January – 2 February 2013 in Vladivostok and gathered representatives of Cabinets from all 3 clubs, as well as several guests, including MUNRFE alumni and a newly elected President of Fokino New Site Development. The Council had a pretty wide agenda, from regular reports of Clubs’ Presidents and MD Team to the discussion of MUNRFE external relations development. One of the most significant decisions of the PC concerned the allocation of major interclub projects for 2013. Having listened to all presentations of projects, the Council decided that IV Regional Conference should be hosted by Khabarovsk club, while FireStarter 2013 and the XII International Conference are to be organized in Vladivostok. Two more interclub projects were proposed and approved by MUNRFE Management and Leadership, which are the Summer Workshop on International Relations initiated by Blagoveshchensk and Teachers’ Competition proposed by MD Team. Besides, it was decided to continue the practice of organizing interclub Resolution Contests, and the next competition of such kind is now planned for April 2013. More detailed information about the Council decisions will soon be provided to the Presidents of all Clubs. The last phrase was written by the current Vladivostok MUNRFE Club President, Anna Ivanova, who is originally from Fokino, and her words are solemn truth. Actually, Fokino is a small and quiet town in Primorskiy region, located not far from Vladivostok. 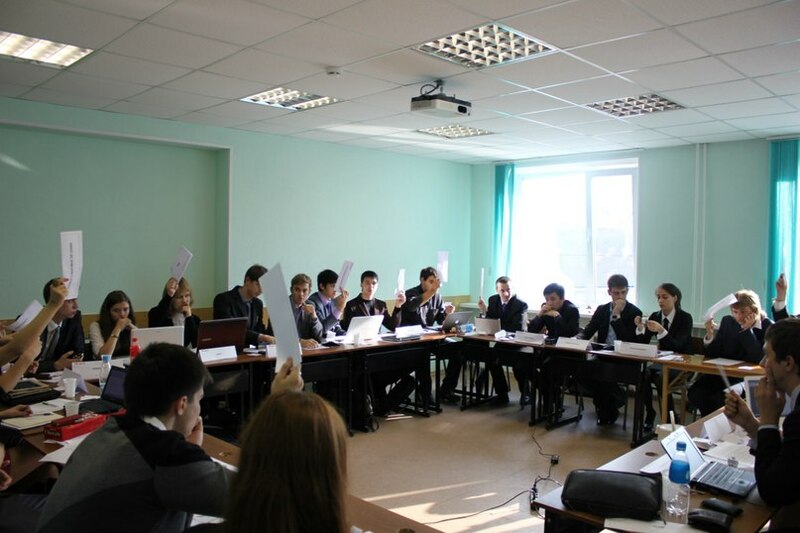 Despite its not big size, Fokino has a great number of talented school students with a strong feeling of commitment to Model United Nations of the Russian Far East values and a desire to become a part of the Organization. This “Fokino story” began last year. 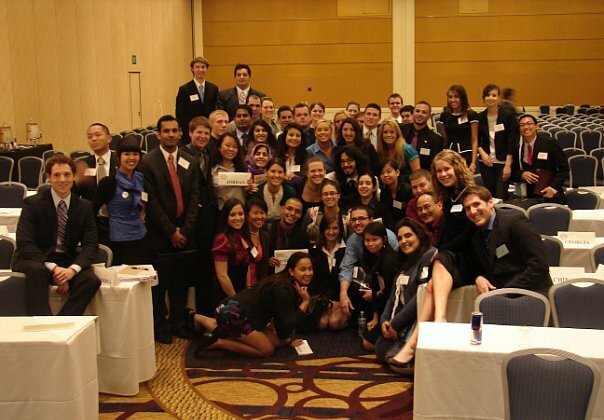 The year of 2013 started for Model United Nations of the Russian Far East with a great event awaited for more than half a year by every true MUNer. This project gathered about 100 people from Vladivostok, Fokino, Khabarovsk, Blagoveshchensk, Yizhevsk, Kaliningrad, and Moscow, as well as from some Chinese, Japanese and South Korean cities. It took place at the legendary Far Eastern Federal University campus on the Russkiy Island. It gave birth to new MUN legends, stars and talented youngsters. It was the fabulous XI International MUNRFE Conference of 7-11 January 2013! 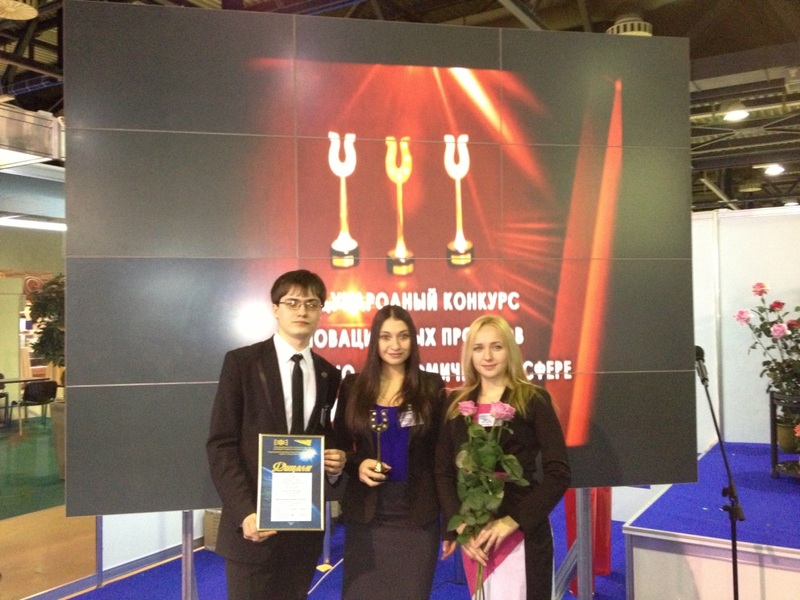 The II Resolution Contest was conducted in all three clubs of Model United Nations of the Russian Far East on November, 24th, 2012. Bright minds from the Far Eastern cities gathered to participate in this important interclub competition to discuss such significant and tough for the United Nations agenda as UN Reform in frames of the General Assembly. The Contest had to begun simultaneously, at 14.00 (GMT+11), in Blagoveshchensk, Khabarovsk, Vladivostok and to finish no later than at 20.00. Then 3 brilliant MUNRFE alumni, Olga Bukach, Marina Katynskaya and Igor Novikov, checked and evaluated resolutions of all three clubs. However, let us announce the results of the Contest later because what is more important is to hear thoughts and feelings of the project participants. They evaluate their results very differently. The APEC Youth Forum was recognized as the best project in the socio-economic sphere by the decision of the Organizing Committee of the IV International Contest “XXI Century Initiatives” that took place in September 2012. 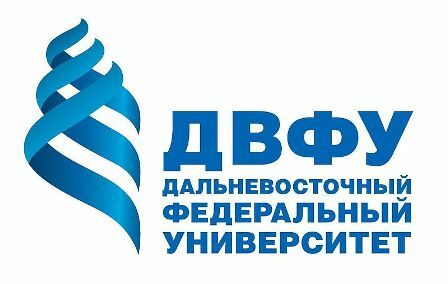 The contest is annually held by the International Union of Innovation Development in socio-economic sphere, the Russian Academy of Education (RAE) and the scientific journal “XXI Century Initiatives”. Maia calendar ends in 2012. Will it mean the end of the time or the great challenge the humanity needs to overcome? The emerging growth of problems unresolved by the world community gradually brings the world out of balance and establishes the ground for future conflicts. Under these circumstances, every state should consider its relations with the rest of the world. This trend underscores the relevance of the Conference topic, namely “Crossing along red line: partnership or competition”. 45 people received the certificates “for successful completion of AMC “Imagine. Believe. Go”. Unfortunately, only 70% of participants have received their hard-achieved documents, but these very people have demonstrated the excellence in... Each MUNer knows, in what. 17 lectures, several trainings, cinema club sessions, 10 teams are the key indices of the project lyrically named “Imagine. Believe. Go”. But as the project name had a metaphorical character, its core rate is impossible to describe by numbers because this indicator is feeling. The feeling that the club really “inspires youth to lead and help them to make the first steps”. The feeling that the mission of the organization is followed in spite of various difficulties is more important than mathematically proved efficiency. The culmination of the project, the mini-conference, showed it clearly. The number of delegates from Vladivostok and Fokino reached 59, but it was less remarkable than warm applauses on the plenary session which lasted for several minutes. 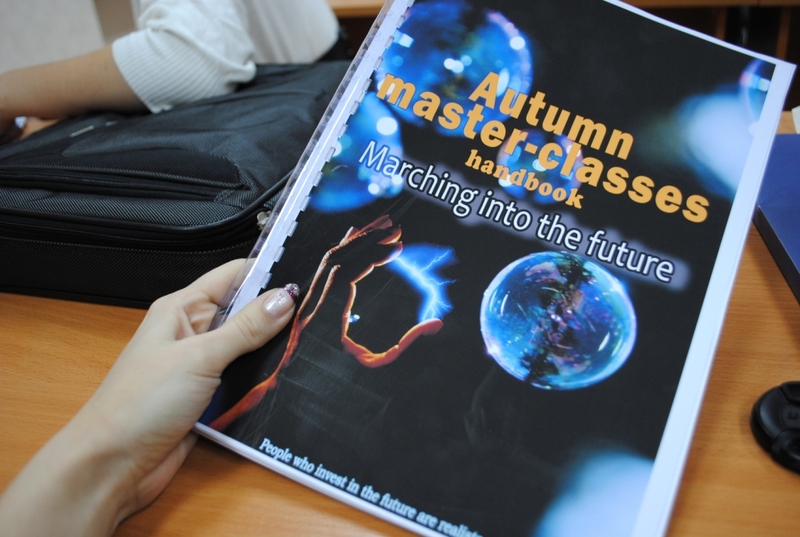 The Khabarovsk MUNRFE Club is really proud of success that was achieved throughout the Autumn Master-Classes 2012. There is absolutely no doubt that each member of Khabarovsk MUNRFE Club contributed something special to this project. Every day of lectures was filled with positive and bright emotions. All members were demonstrating unity and productive work of the Club that caused a great feedback from newcomers. The Club is absolutely glad that today we have a plenty of young, talented and ambitious students who have joined MUNRFE and who are willing to participate in the upcoming XI MUNRFE international conference. The Club would like to express a deep gratitude to Andrey Kozinets and Vladimir Tananykin who made a significant contribution during the task-force and conducted lectures. We would also like to thank our honorable Khabarovsk MUNRFE alumni who provided us with help in conducting lectures and trainings during the master-classes. “Call it a clan, call it a network, call it a tribe, call it a family. Whatever you call it, whoever you are, you need one.” These words, expressed by an English novelist Jane Howard, are fully proper to the experience that several MUNRFE members went through just a week ago. 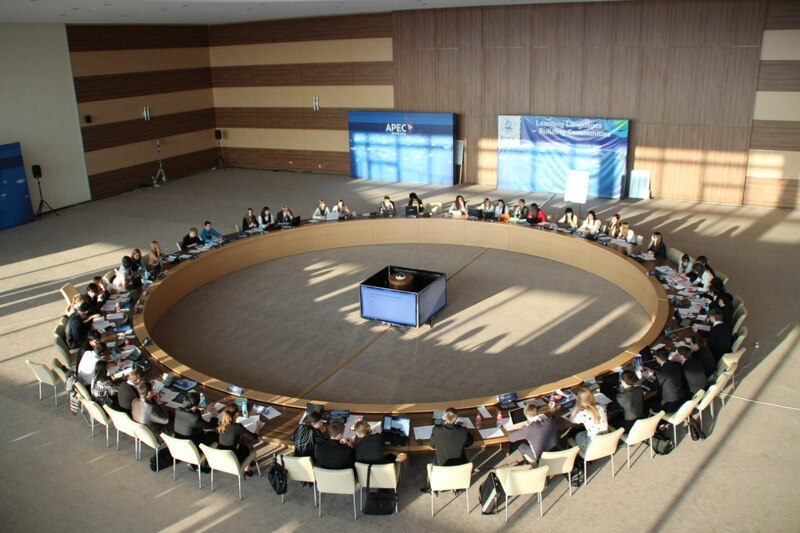 The Asian Youth Forum 10 (AYF 10), organized in Vladivostok this year, was successfully conducted on October 31 – November 6, 2012, on the territory of the new FEFU campus on the Russkiy Island. AMC' 2012 in Khabarovsk have begun!